2016 was the year that . . . Many of us are quite happy to keep truckin’ on to a new year. And yet 2016 had its better moments. Viewed through the lens of sustainable business, it was more of the same — “more,” in this case being a continued acceleration of activity across a steadily expanding landscape of opportunity. Lest we forget, here, in no particular order, are 10 story lines we covered during the year that showed the promise and progress of sustainable business. 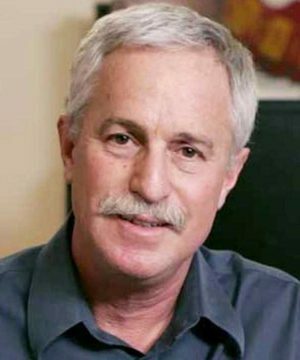 This entry was posted in NewsBlog and tagged CleanTechnica, EcoWatch, Energy Manager Today, GreenBiz Group, Nebraskans for Solar, Reuters, Twin Cities Pioneer Press on December 27, 2016 by Helen Deffenbacher. 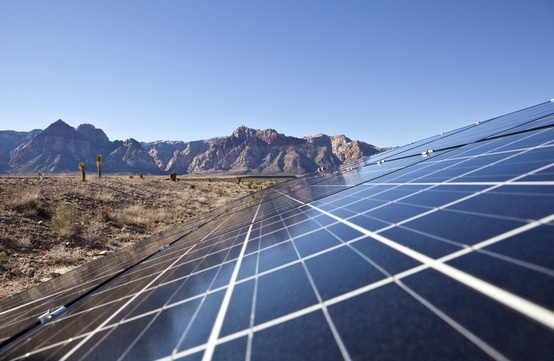 Mojave desert solar array at Red Rock Canyon National Conservation Area. 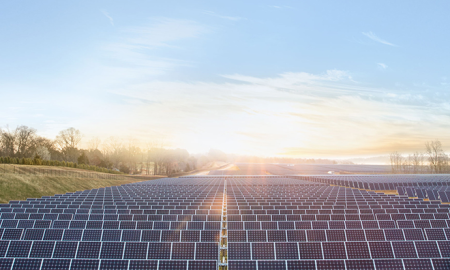 Many trace the tipping point for utility-scale solar to a 2014 announcement by Austin Energy that it would buy power from a new 150 megawatt solar plant — enough to light and cool 30,000 homes — for 5 cents a kilowatt hour. At the time, it was a record low price for solar power. Since then, projects have brought the price below 4 cents a kWh. Read more. This entry was posted in NewsBlog and tagged Nebraskans for Solar, Reuters, The Toledo Blade, U.S. utility-scale solar development on July 18, 2016 by Helen Deffenbacher. WASHINGTON / A wing of the U.S. Department of Energy focused on breakthrough technologies may soon give billionaire entrepreneur Elon Musk’s most recent foray into energy storage a run for its money, the unit’s director said. Advanced Research Projects Agency-Energy, or ARPA-E, which funds projects meant to transform energy markets, has made huge strides over the last few years on next-generation batteries that could make electric cars and renewable energy cheaper and more accessible. U.S. Energy Storage Market Grew 243% in 2015, Largest Year on Record, by Mike Munsell, Greentech Media Research. The U.S. energy storage market just had both its best quarter and best year of all time. According to the GTM Research/Energy Storage Association’s U.S. Energy Storage Monitor 2015 Year in Review, the U.S. deployed 112 megawatts of energy storage capacity in the fourth quarter of 2015, bringing the annual total to 221 megawatts. This represents 161 megawatt-hours for the year. The 112 megawatts deployed in the fourth quarter 2015 represented more than the total of all storage deployments in 2013 and 2014 combined. Propelled by that historic quarter, the U.S. energy storage market grew 243 percent over 2014’s 65 megawatts (86 megawatt-hours). Utility Dive: The sector favorite: Storage tops utility tech picks for second year running. Utility Dive’s third annual survey of electric utilities shows even greater interest in energy storage, by Peter Maloney. This entry was posted in Energy Storage, NewsBlog, Research and tagged energy storage, energy storage market, energy storage research & development, Greentech Media Research (GTM), Nebraskans for Solar, Reuters, Utility Dive on March 3, 2016 by Helen Deffenbacher. EPA asks Volkswagen to make electric cars in U.S.
U.S. authorities have asked the German carmaker Volkswagen to produce electric vehicles in the United States as a way of making up for its rigging of emission tests, the German newspaper Welt am Sonntag reported. The U.S. Environmental Protection Agency is currently in talks with Volkswagen with the aim of agreeing on a fix for nearly 600,000 diesel vehicles that emit up to 40 times legal pollution limits. Photo by Reuters / Fabrizio Bensch: The charging plug of an electric Volkswagen Passat car is pictured at charging station at a VW dealer in Berlin, Germany. 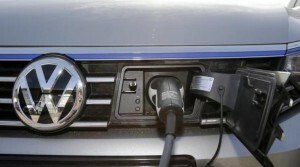 This entry was posted in Electric Vehicles, NewsBlog and tagged Environmental Protection Agency (EPA), Nebraskans for Solar, reducing greenhouse gas emissions in the U.S., Reuters, Volkswagen on February 22, 2016 by Helen Deffenbacher. February 25th webinar: Corporate Renewables Procurement: America’s New Leading Source of Demand for Wind Power. Click here for details. Rocky Mountain Institute: First-Time Buyers Are Dominating Corporate Renewable Purchasing, by David Labrador. Click image to enlarge it. 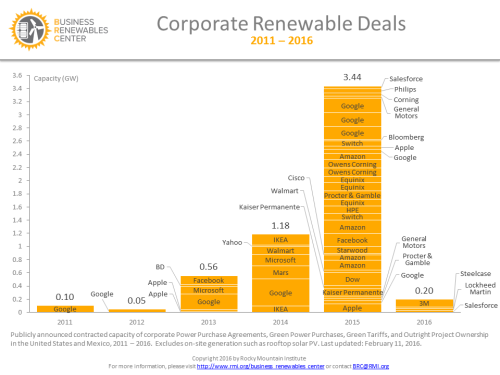 This entry was posted in NewsBlog and tagged Apple, clean energy bonds, corporate renewable energy procurement, green bonds, Nebraskans for Solar, Reuters, Rocky Mountain Institute on February 19, 2016 by Helen Deffenbacher. This entry was posted in NewsBlog and tagged climate change as a moral issue, climate change's impact on the world's poor, Nebraskans for Solar, Reuters on February 27, 2015 by Helen Deffenbacher.